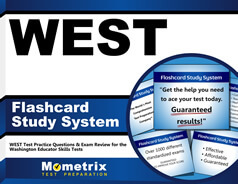 Teaching candidates in the state of Washington who wish to specialize in health and fitness are required to take the WEST-E Health/Fitness Test #029 and achieve an overall passing score of 240. The WEST-E Health/Fitness exam is broken out into five subject area domains. Your test will be comprised of approximately 19% of questions on Factors Affecting Growth and Development, 16% on Living Safely and Reducing Risks, 16% on Consumer and Safety Skills, 30% on Motor Skills and Movement Activities, and 19% Physical Fitness in Everyday Life. You will need to register for and take your test at an official testing facility. Be sure to read the rules for the testing facility before you arrive. You will not be able to take any personal items into the testing center, including a cell phone. It’s important to arrive early at the testing center as you may not be able to take your test if you arrive late. You will have 2 hours and 30 minutes to complete your test, which will be plenty of time if you devote ample time to studying. This test uses a computer-based testing format with approximately 110 questions. The WEST-E Health and Fitness Test 029 practice test is a good way to figure out if you feel prepared enough to take the exam. Use the information that you learned in your college courses, including your college text books to help you prepare for your test. It also helps to use the WEST-E Health and Fitness practice questions as a tool for your studies. Carve out regular study hours to ensure that you have adequate time to study for your test. Many teacher candidates find that they enjoy forming study groups and prepare for the test together. 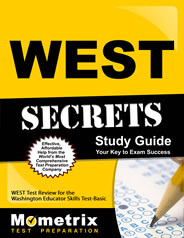 Take the WEST-E Health and Fitness practice test to assess your knowledge and readiness. The testing assistant at the testing facility will check to make sure you ended your test properly. Ask the testing assistant to provide you with your score immediately after your test is completed and submitted. You will have access to written copies of your score report within 2-6 weeks after you take your test.